Pro government march in Iran. I like how they blame the UK for all the protests, it suggests a level of competence and influence we simply don’t possess. They are gay, give them a break. There are no gays in Iran, didn’t you here the speech he gave in NYC a couple of years ago? 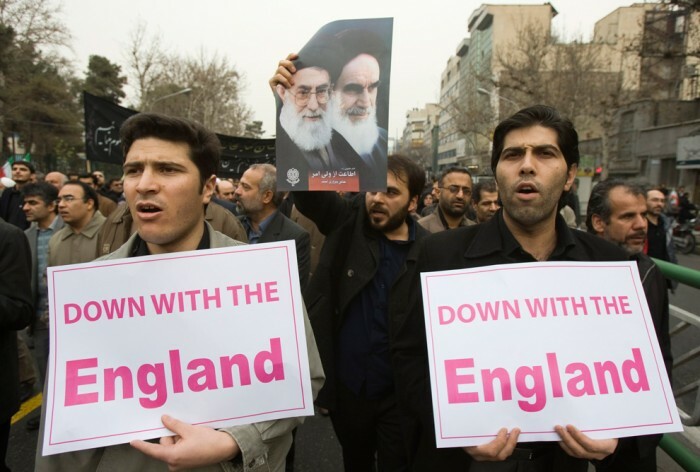 Since, you know, the US and UK absolutely care about the “free” elections of Iran. Chocolate Rain; your argument is invalid. Damn… beat me to it. And now the damn song is stuck in my head. If I could find video of an Iranian metal band singing this it would completely change my opinion of Iran. Also, you’re now reading England as en-gland. Is The England as bad as The USandA?